some of the tiniest wrist watch pieces are wired with a copper-red wire. 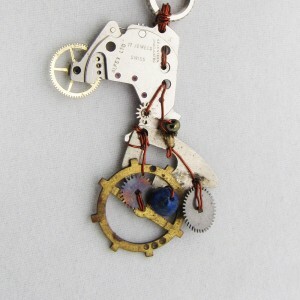 A small gear has been hand tinted to pull in the colours of blue and reddish purple. One of a Kind!